"When I was first called to the Twelve, I noted that Brother Lee was playing the organ. 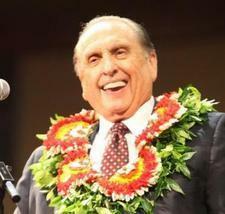 And he said, 'Brother Monson, as our newest apostle, would you choose the song you’d like for us to sing today?' And I chose his favorite, and we all sang it with gusto." The hymn is a favorite for many Latter-day Saints, and was inspired by Sir Walter Scott's poem, "Lady of the Lake." William W. Phelps, using that as a framework, penned "Praise to the Man" shortly after the martyrdom of Joseph Smith. It was likely was sung to the tune of "Hail to the Chief" in the early days of the Church, but today, it is sung to a variant of "Scotland, the Brave."